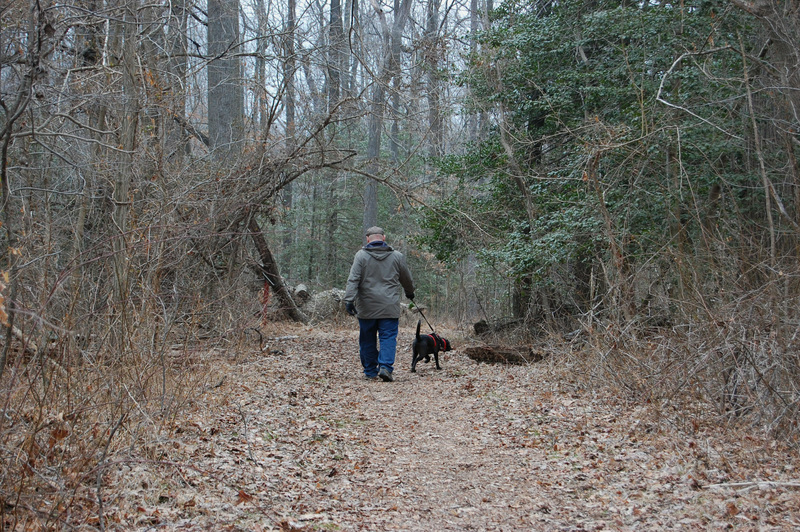 We took Rufus for a short walk down the Black Marsh trail at North Point State Park on Sunday. 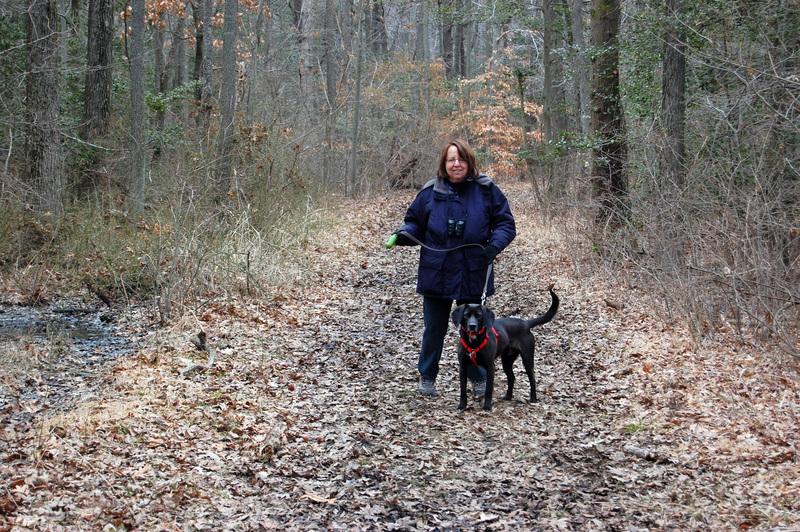 Brad and I hope to continue to bring Rufus along on our birdwatching jaunts. This was a test run and Rufus passed with flying colors. Though he walked nearly the entire trail with his nose about an inch from the ground (no doubt gorging himself on all the exotic smells of the wild) and he tugged at the leash (a behavior we hope to control once we all begin obedience class) what I found to be most significant is that he did not bark or howl. Even when we spotted wildlife off in the distance or when approached by fellow hikers. Speaking of the latter, we stopped and chatted with some other birders in search of snowy owls and they oohed and ahhed over Rufus and his velvety ears and his handsome coat. Why, who ever could resist such charms?